The following code will export a picture of the active chart, in gif format. Change the file name and path to suit your needs. Use this sample code carefully! It deletes all the charts in the active workbook, and is helpful if you want to clear things out and start fresh. The following code will remove both the X and Y error bars, for the first chart on the active worksheet. The following code will add both the X and Y error bars, for the first chart on the active worksheet. The Y error bars will have a fixed value of 2, and the X error bars will be set for 10%. The following code will add the X error bars, and remove Y error bars, for the first chart on the active worksheet. The X error bars will be set for 10%. 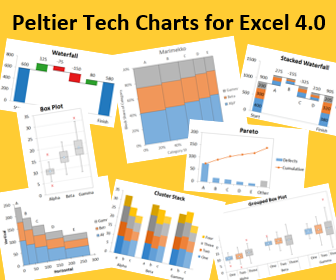 If you do lots of work with charts in Excel, save time with Jon Peltier's Excel Chart Utility.